Today's property buyers are starting their house hunt online. For estate agents, this means your service needs to follow the digital shift. And that means installing live chat software. 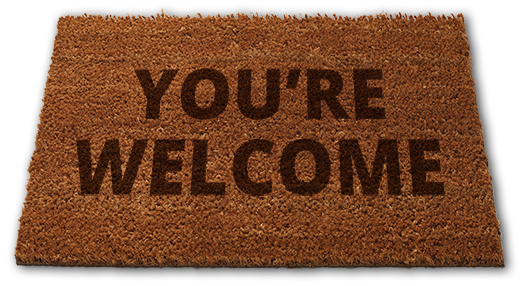 Luckily for you, we've built a free chat channel just for your estate agency. 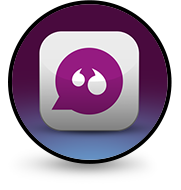 A live chat channel means more conversations, and more potential conversions. House hunters can ask you property questions while they're live onsite, allowing you to work your magic while the visitor is most interested. You wouldn't ignore a prospect in your high street agency, so why ignore one on your website? Without live chat, your website is a silent property brochure. With it, it becomes a digital service desk that lets you offer that expert agency experience online. You've spent time and money on your website. You've built your digital showroom to perfection, so don't fall at the last hurdle by leaving it unmanned. 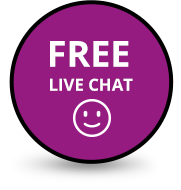 Live chat helps you connect with your property leads and capitalise on your digital presence. 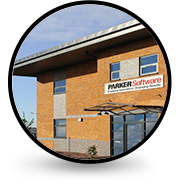 That's it - within a few clicks and a few minutes, you'll have a great-looking live chat channel for your estate agency website.  Corporation, registered in many jurisdictions worldwide. What is included in my free account? 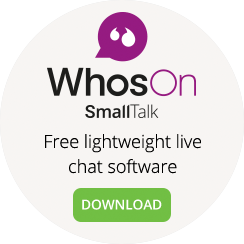 The free WhosOn SmallTalk account is designed to be minimal. 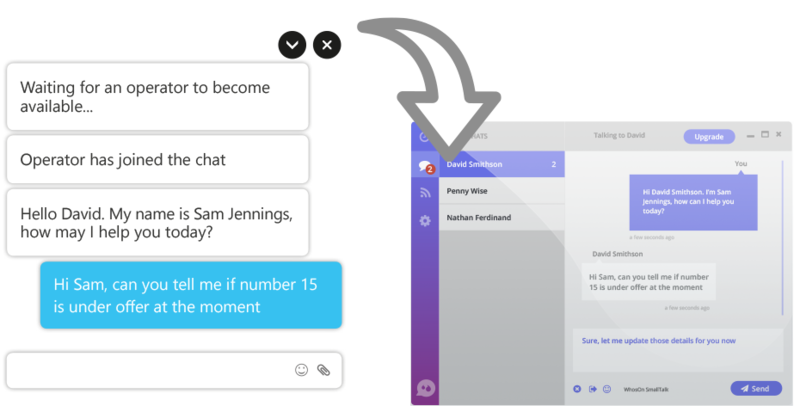 So, it covers one user, taking one concurrent chat at a time. 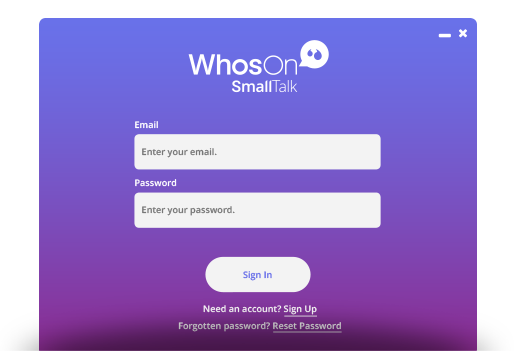 WhosOn SmallTalk is developed using water-tight security protocols, so your data stays protected. From encryption to access restriction, we take every step to eliminate your safety concerns. How soon can I use it? 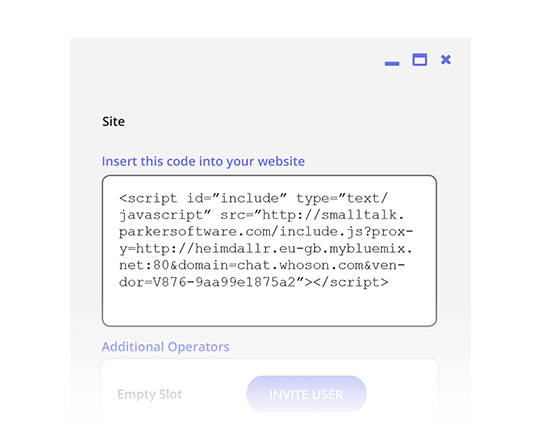 As soon as you can get the code on your website. 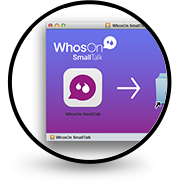 There’s no lengthy installation or detailed training required to use WhosOn SmallTalk– you just download and deploy. Can I cancel if I need to? 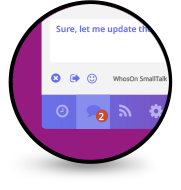 If it’s not for you, you can cancel WhosOn SmallTalk at any time. It’s a simple solution, so we’d never rope you into complex contracts.